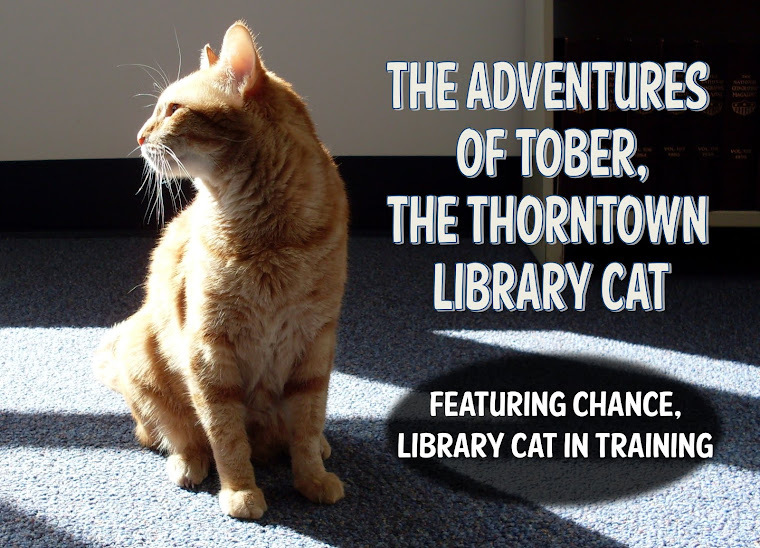 The Adventures of Tober, the Thorntown Library Cat: People are strange. wow what inturrstin advenzhurs you gots! nevfur hurds of hoody day... maybe we tri dat in kansas. i fink coffee n caffiene not goods fur kitties. good fing you dint like it. stiks ta warm milk... i alwayz say. my mum says she wishes I could get a job in the library too. My name is Poppy Q, and I am a British shorthair cat, and I live with my mum in New Zealand. My Blu Cat man is a 'brarian. But I don't get to go wif him. We both wish I could go. I would get to be wif him in his beatyful building. Here's the linky to his library's website. We luvs that hoodie hoo day cellybrashun! The humans must have looked so silly. Too bad you couldn't get a picture of it. teeheehee! It's so wonderful meeting you! 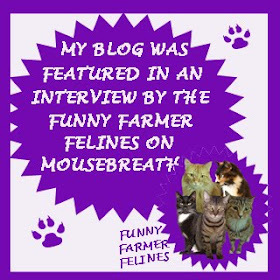 We heard about you over at the Cat Blogosphere. We will be stopping in everyday to visit you and your library escapades. 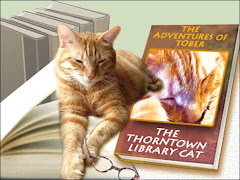 Our Mom is reading the Dewey library cat book right now. Maybe you should think about writing one yourself someday? Next year I will try extra hard to have one of my Assistant Assistant Bosses take a picture of the weird Hoodie-Hoo Day ritual. It will be an eye-opener for you, because I don't think Cats would do such an odd thing. They even have a special Hoodie-Hoo Apparatus to aid in the chasing away of winter. Them beans does weird things fer da weather. We tried coffee once - we did not like it. BTW - nice to meeto you fer da furst time. 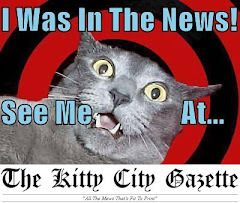 We knoew about Dewey, da library cat, but we just found out about you. We fink living in a library would be fun. Do you have yer own FaceBook page like Dewey?